The family patriarch Ali Riza (Halil Ergun) devotes his life to leave good values to his five children: Fikret (Bennu Yildirimlar), Sevket (Caner Kurtaran/Hasan Kucukcetin), Leyla (Gokce Bahadir), Necla (Fahriye Evcen) and the youngest daughter Ayse. Therefore, he tries to teach them on moral values, justice, honesty and trustworthy, but misses to prepare them for the real cruel life in Istanbul. When asked to ignore an injustice, he resigns from his position as District Governor and decides to settle in Istanbul where his daughter Necla is accepted to a university. Although his wife Hayriye (Guven Hokna) is nervous about leaving, Leyla, Necla and little Ayse are very excited. Upon their arrival, Ali Riza realizes that the city where he was born and raised has changed a lot. Soon, darkness invades his family after the involvement of main antagonist characters Ferhunde (Deniz Cakir) and Oguz (Tolga Karel). Nazli (Nehir Erdogan) is the daughter of a conservative Turkish father Kahraman (Erdal Ozyagcilar), who is a famous baklava maker in Gaziantep (city in the Eastern Turkey). She doesn’t want to marry her childhood friend Kadir (Engin Akyurek) and runs away from home and goes to Bodrum where she comes across Niko (Ozgur Cevik). Niko is a good-looking young man who is the son of a wealthy Grek ship owner. Nazli and Niko fall in love at first sight but there is a big problem in front of their ways: Turks and Greeks do not get along well generally. In spite of this problem, they decide to get married. Niko comes to Gaziantep and meets with Nazli’s family and the comedy starts. Cevahir (Ufuk Ozkan) is a 28-year old man who returns from Germany. He wants to get married to his childhood love, Sukufe (Zuhal Topal). However, Sukufe is angry at him for his going to Germany and could not forgive him easily. For this reason, Cevahir tries almost every possible way to become together with her again. On the other hand, Bilal (Firat Tanis) also loves Sukufe and doesn’t want to loose her. Thus, Cevahir and Bilal do not get along well and squabble all the time. Yurdanur (Ozge Ozberk) is far from the war between leftist and rightist but one day while going to the cinema she loses her closest friend in middle of the fight. In a street of scattering crowd and open fire, she meets a leftist guy, Mehmet (Mehmet Ali Nuroglu) who helps her. They fall completely into each other, although Mehmet is known as anarchist and Yurdanur is the daughter of the rightist Turkish deputy. Yurdanur’s parents Dincer (Kenan Bal) and Sema (Isil Yucesoy) don’t approve of their relationship. However, Yurdanur, girl of a rich family, finds it worth loving a different man than loving money like her father, Dincer. Adana (a city in southern Turkey), with its fertile lands, vast cotton fields and factories, gives hope to thousands of poor people who struggle to survive. There are richness and poverty together on these fertile lands. Aslanbas family is one of the richest families in Adana. The owner of vast estates and thousands of acres of cotton fields, the wealthy Aslanbas family lives in a large farm house. The family employs thousands of workers including field workers, servants at the farm house and personnel at the holding company. Ali Akarsu (Erkan Petekkaya) is a sea captain who is constantly away from his home in Istanbul. 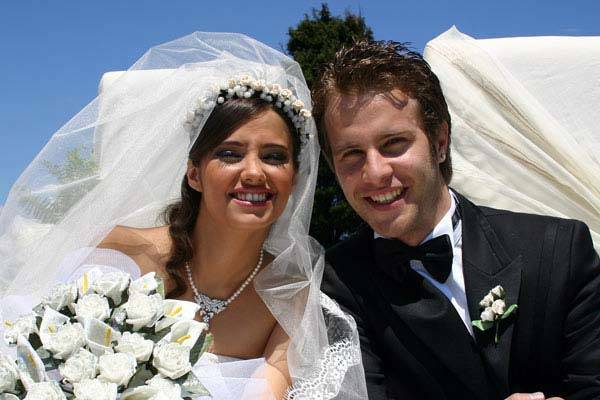 He has four children: Berrin (Yildiz Cagri Atiksoy), Aylin (Farah Zeynep Abdullah), Mete (Aras Bulut Iynemli), and the youngest son Osman (Emir Berke Zincidi). What keeps these four children together is Cemile (Ayca Bingol), the long time partner and wife of Ali. Yilmaz (Bulent Inal) is a poor guy who is in love with a girl, Elif (Ozge Borak), from his neighborhood. Although they plan to get married, a number of events split their ways. Elif leaves Yilmaz for another man, Omer (Sinan Tuzcu), who is the heir to a large textile conglomerate and who also has feelings for Elif from the beginning. Even though Yilmaz separates from his first love, he still carries the wound that he suffered from their relationship. He promises to seek revenge on the man who steals his girl friend. Therefore, Yilmaz tries to woo Filiz (Tuba Buyukustun) who is the sister of Omer. Reluctantly, Filiz starts to fall for Yilmaz. By becoming Filiz’s boy friend, Yilmaz keeps concretely practicing his revenge upon her. Soon after he discovers that his ambition to practice revenge does not fill the emptiness that he has inside. He finds himself falling for Filiz as well and feels that his love toward her growing deeper and deeper in his heart. Harun (Serhan Yavas) is the son of a rich businessman and manages the family business with his father Feyyaz (Fikret Hakan). He has an affection for Melda (Sinem Oztufan) who works at their company. Melda is a beautiful young girl who is very reasonable and idealist, for this reason, she is appreciated by Feyyaz. However, Harun starts to see another girl, Eda (Ozlem Yilmaz) whom he coincidentally acquaints with. After a few romantic weekends, he leaves Eda because his father, Feyyaz, wants him to marry Melda. Therefore, Harun decides to marry Melda whom his father approves. A wealthy Karadag family owns vast estates in Cappadocia in Middle Turkey. After the death of the family patriarch, the oldest son Seymen (Ozcan Deniz) takes the place of his father. He starts to bear all the responsibility of the family business on his shoulders. When Seymen goes to study in New York, he meets a beautiful girl, Bahar (Nurgul Yesilcay), a daughter of a family from Istanbul. They fall in love and decide to get married. Bahar is an aspiring painter and has grown in a modern family unlike Seymen’s family. Despite the difference between their families, they get married in Seymen’s city of Nevsehir, Cappadocia. They settle in the Vine Mansion and start to live with Seymen’s mother Sumbul (Selda Alkor), brother Seyhan (Devrim Saltoglu) and two sisters. Soon, Bahar realizes that his new home is very different than hers and is astounded by the behaviors and mannerisms of the local people. 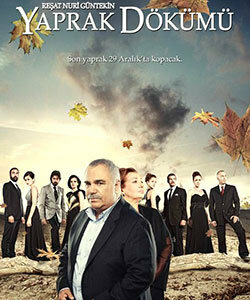 Original Title: Fatmagul’un Sucu Ne? English Title: What is the Fault of Fatmagul? Fatmagul (Beren Saat) is a beautiful and naïve girl who lives in Cesme (a touristic place in western Turkey). Due to the death of her parents, she lives with her brother. She plans to get married Mustafa (Firat Celik) in the summer. She loves him and wants to get married as soon as possible in order to overcome the emotional pain of grudging charity of her sister-in-law.